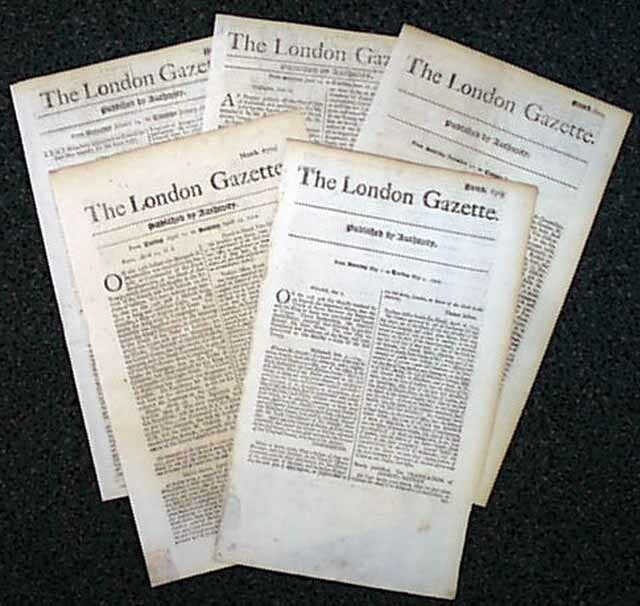 Item # 559480 THE LONDON GAZETTE A lot of five issues of the world's oldest continually published English language newspaper, all from the early 1700's (1712-1729), priced at a bargain due to being a blend of 2nd rate and slightly damaged issues. A great opportunity for authentic issues from the early 18th century at a fraction of their typical cost. The image shown is just an example of what you will receive. Actual issues/dates vary.